In 1978 an opportunity presented itself to Phil Murphy. His family relocated from Columbia to Florence, SC where Phil purchased a small shop in downtown Florence and in 1979...Phil's childhood dream of owning his own bike shop became a reality. 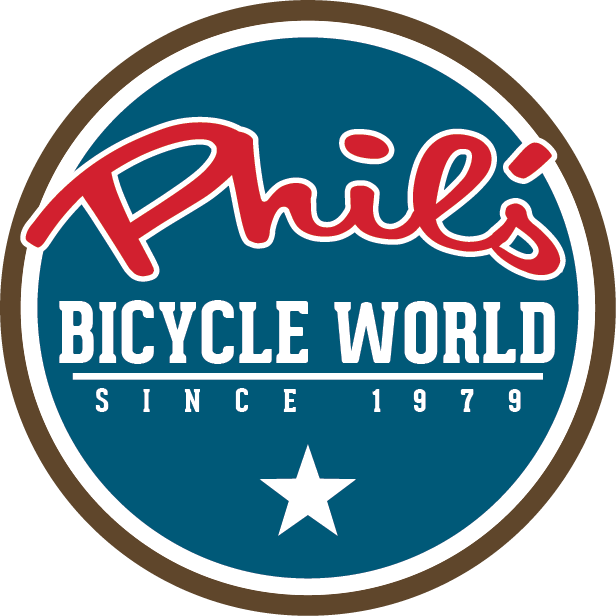 Phil's Bicycle World remained in that location until 2005. 2005 brought big changes for Bicycle World and Naturally Outdoors (an outdoor gear shop started by Phil's son). In that year they moved their locations to W Palmetto Street to accommodate their growing staff and inventory! To this day the store resides on Palmetto Street where Phil is still the grandmaster bicycle repair man! Phil's childhood dream became a reality in 1979 when he quit his 9-5 to open a bicycle shop! Phil and his family relocated from Columbia to Florence, SC where they still reside. Phil works almost every day of the week so when you come to the shop you are bound to see the man who started it all. Entrepreneurship must run in Phil's family because in 1990 his son, Scott Murphy & long time family friend Hunter Morgan, opened an outdoor gear shop. In 2005 the two stores joined forces on Palmetto Street to create a one stop shop for all kinds of outdoor adventure! Geoff started at Phil's part time in 2018, became the manager in 2019. Geoff has been passionate about many things but always finds his way back to being on his bike either mountain or road. Fun facts…Geoff learned to whistle on October 27, 1979 (so his mom had this written down). Geoff keeps trying Kale even though he forgets he doesn’t like it. Before joining the bike shop in 2015, Matt was a school teacher and a coach in about everysport you could think of! In March of 2015 he decided to join the Bicycle world family full time and make his hobby a profession! Matt isn't the only avid bike rider in his family though...his wife is also a great cyclist! Matt also has 2 children who he's passing on the love of bikes to...although one of his boys isn't quite big enough to reach the handlebars yet! Taylor began her stellar bicycle shop career in 2018. Taylor specializes in knock your socks off customer service. But don’t let that fool you she is not afraid to get her hands on some wrenches. She swears if you yell “Whoooohoooo” when riding you will go faster.